Designers are never spare, you will always find them scratching their scalp, shrugging their shoulders, wiping the sweat and in deep contemplation mode because they have an immense range of tasks to be done before the next dawn and for this they burn midnight’s oil to meet the desire end. How lucky they are, when they are born with talent and potential in their blood. No matter how much burdened they are, they will always have a smile on their face showing off that that are ease lovers, motivated, lively and energetic and this is the best part of designers. They are always inspirational for others especially for beginners. They do full justice to their job and take it as their passions, at least the designers I know, are nothing less than that. Any artist no matter if he is a painter, sketcher or a designer, each one of them is engrossed in getting their responsibilities done before the fixed time because you know, they are restless creatures, their imagination is always flying to the unexplored lands and maybe their supply of creativity comes from that universes of thoughts, who knows? Anyway, you won’t see them stressed or depressed because they know how to get the things out of the mole hill. 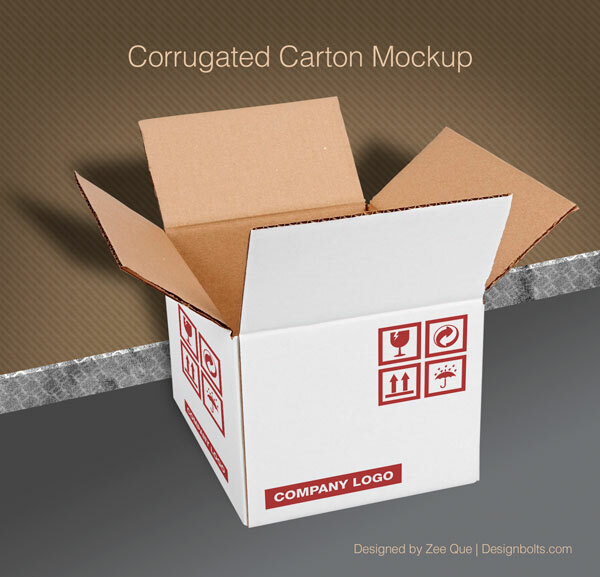 Designers always are in search of PSD mock-up files that may help them doing their regular and day-to-day job at workplace. 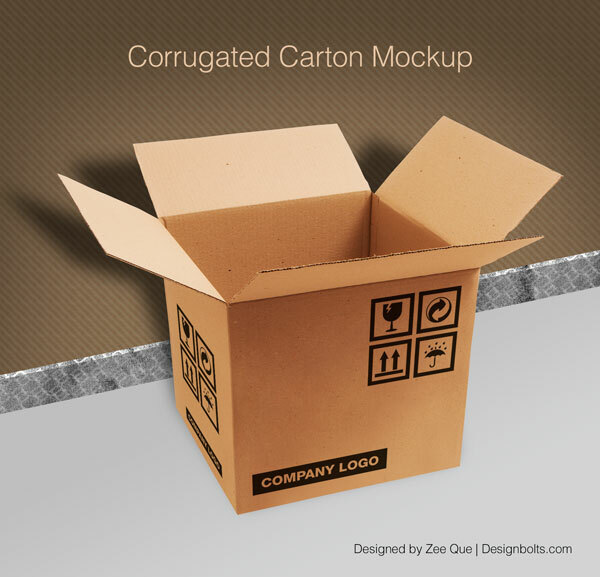 So my today’s post will be a surprise for all of you, if you are working on some packaging design of shipping carton, then look at our today’s post, I am unfolding before you free corrugated carton / box packaging mockup PSD. Insert your design and there it is all done. Have a look and stick to us for more such posts. We are all set to accommodate you the way you want us to do. 2. Layers are hidden to decrease the size of file kindly unhide, ungroup and place your design on red color layers.